Camera Corner volunteers are picture-perfect! Check out this newsletter from Altrusa House featuring some of our employees. Click here for article. Congratulations to Mayville for winning the Quarterback Challenge at the Green Bay Packer’s game! 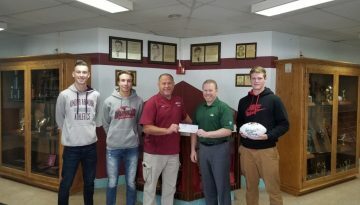 We love being able to give back to our schools.